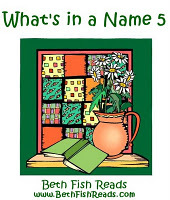 Three years ago “What’s in a Name” was the very first challenge I signed up for via this blog. It was also the first challenge I completed. 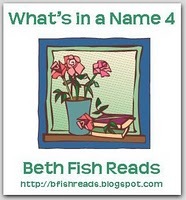 Beth at Beth Fish Reads is the host, and there’s a dedicated blog for this year’s challenge here. Not the books I’d planned, but I was very happy with my final sextet. And am I signing up for another year? Of course! A couple of those categories were tricky, but I got there in the end and I had a lovely time going through my bookshelves, looking for a book I wanted to read to fit each category. This challenge is so much fun – it’s probably the only one I’m going to sign up for next year. I need to read one more book to finish this year’s challenge. oh…curious about the Benson book. Not one I’ve heard of by him. I like coming up with lists for these challenges, even if I don’t do them!